Episode 16.09 with Hosts Steve Kashul and Dr. Brian Cole. Broadcasting on ESPN Chicago 1000 WMVP-AM Radio, Saturdays from 8:30 to 9:00 AM/c. 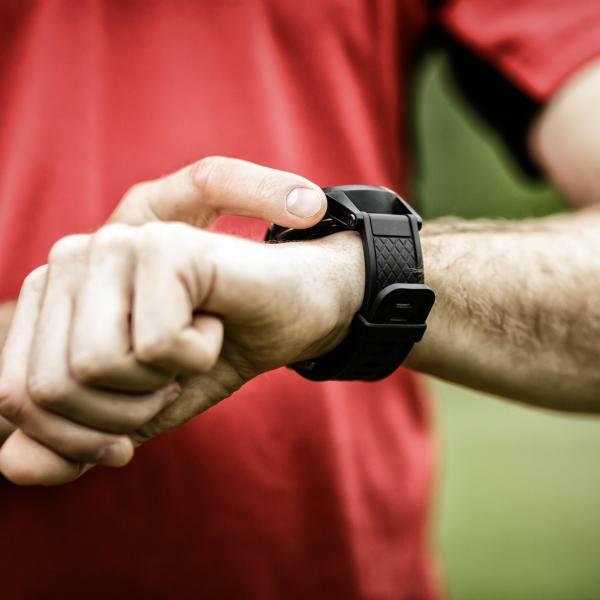 Segment One: Doug Adams, PT, DPT, SCS, OCS, CSCS from ATI Pysical Therapy discusses how GPS Watches can be valuable in measuring and correcting running dynamics. Information about cadence, vertical oscillation and ground contact time can reflect running form; use of this information to improve performance, evaluate and prevent injury by observing runners in their natural environment rather than controlled treadmill environments. A recent ATI Physical Therapy study found that GPS running watches can provide just as valid and reliable of information to the runner as would an expensive laboratory motion capture system in helping to identify and correct running form and technique. The study, presented at the American Physical Therapy Associations’ Combined Sections Meeting. Segment Two: Dr. Cole talks with Steve Kashul about his role in the NBA Combine. While players are being evaluated for performance, Dr. Cole and his team are evaluating the medical and orthopedic components in the players overall profile. Segment Three: Dr. Adam M. Bitterman, orthopedic surgery Fellow at Rush University Medical Center discusses common foot and ankle injuries. From weekend warriors to pro athletes, foot health is critical to staying active. Foot and ankle injuries represent over 3 million doctor visits per year. Dr. Bitterman describes the most common problems, their causes and treatment options. Dr. Cole also discusses the Rush fellowship program with Dr. Bitterman and the intensive training it provides over a short period of time. Dr. Bitterman has contributed to Foot and Ankle International, Foot and Ankle Specialist, Orthopedics, American Journal of Orthopedics, The Journal of the American Osteopathic Association, Journal of Emergency Medical Services, The Huffington Post, as well as the syndicated medical blog, KevinMD.com. He has lectured to pre-hospital medical providers as well as allied health professionals. This entry was posted in 2016 Podcasts, Ankle, ATI Physical Therapy, Basketball, Dr. Brian Cole, Foot, Injury, Interviews, Midwest Orthopaedics, Running, Sports, Therapy, Training, Treatment by sportsmedicineweekly. Bookmark the permalink.